" The difference between the S8 and S9 is enormous. What an incredible improvement! The S9 is super quiet. I highly recommend this machine. " 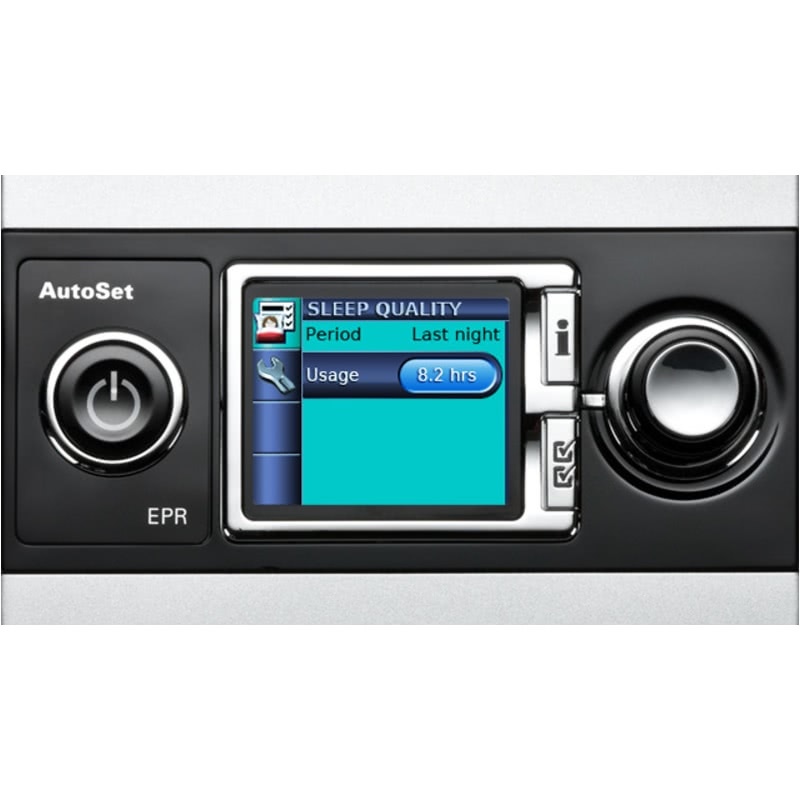 " I had put off a new CPAP for too long -- This quiet little machine Has improved my comfort and is just a joy to use "
The S9 Escape™ CPAP Machine with EPR™ is a sleek, all-in-one system that is ideal for any nightstand. 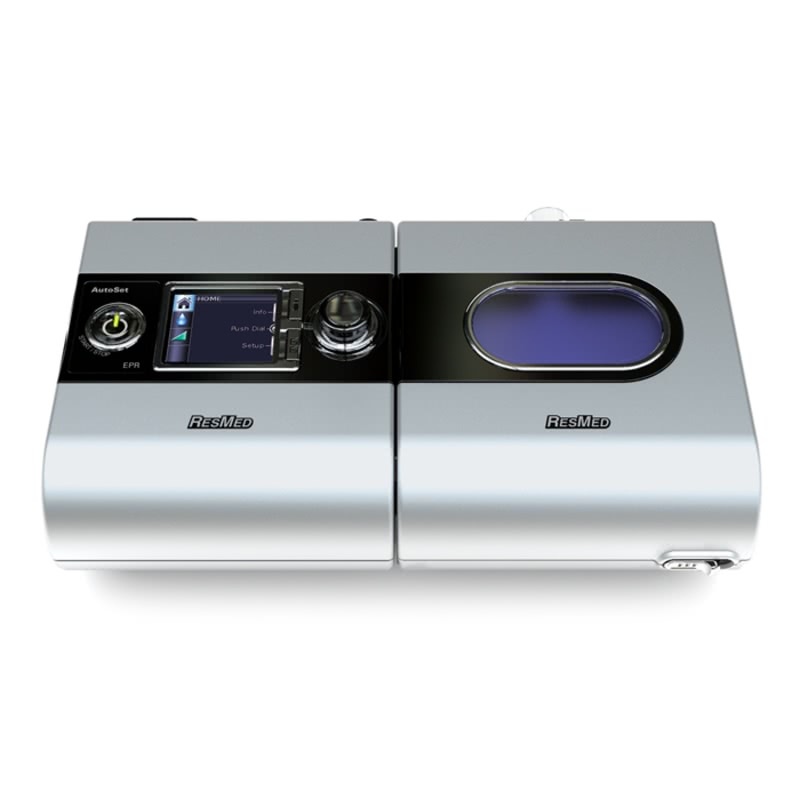 ResMed has incorporated Easy-Breathe Technology along with expiratory pressure relief (EPR) to make breathing through a CPAP feel more "natural". The S9 CPAP and included H5i™ Heated Humidifier with Climate Control offer major improvements and advanced features in climate control. 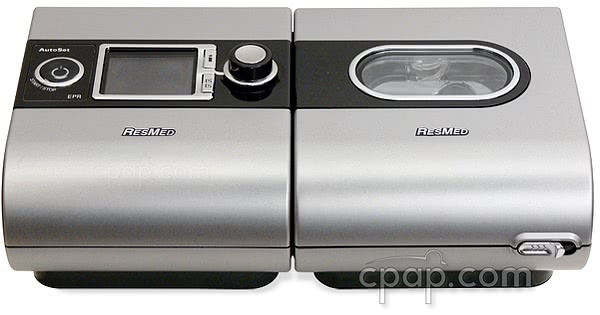 ResMed's S9 Escape™ CPAP Machine with EPR™ is the entry level CPAP model in the S9 Series. Packed with technology, users can take advantage of EPR settings with Easy-Breathe and Climate Control humidification. ResMed's H5i™ Heated Humidifier, which is included with the S9 Escape™ incorporates an intelligent humidity controlling technology. The Climate Control system is managed through a combination of the S9 machine, H5i humidifier and the OPTIONAL ClimateLine heated tubing. There are five sensors throughout the system that monitor ambient temperature and patient airflow. The ClimateLine heated tubing uses a built-in mask temperature sensor to reach relative humidity at the mask. 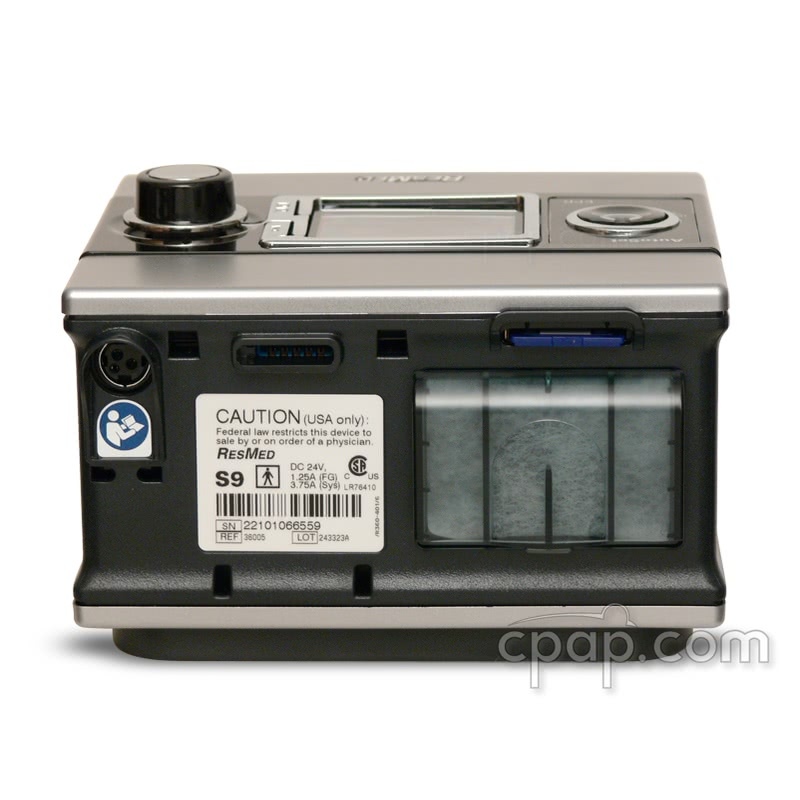 Sensors inside and outside the CPAP machine closely monitor changes in humidity and helps prevent condensation from forming inside the tube. Rainout can hinder CPAP therapy and affect compliance. With the H5i humidifier, set the level of humidity and attach the OPTIONAL ClimateLine tubing to achieve a new level of comfort. 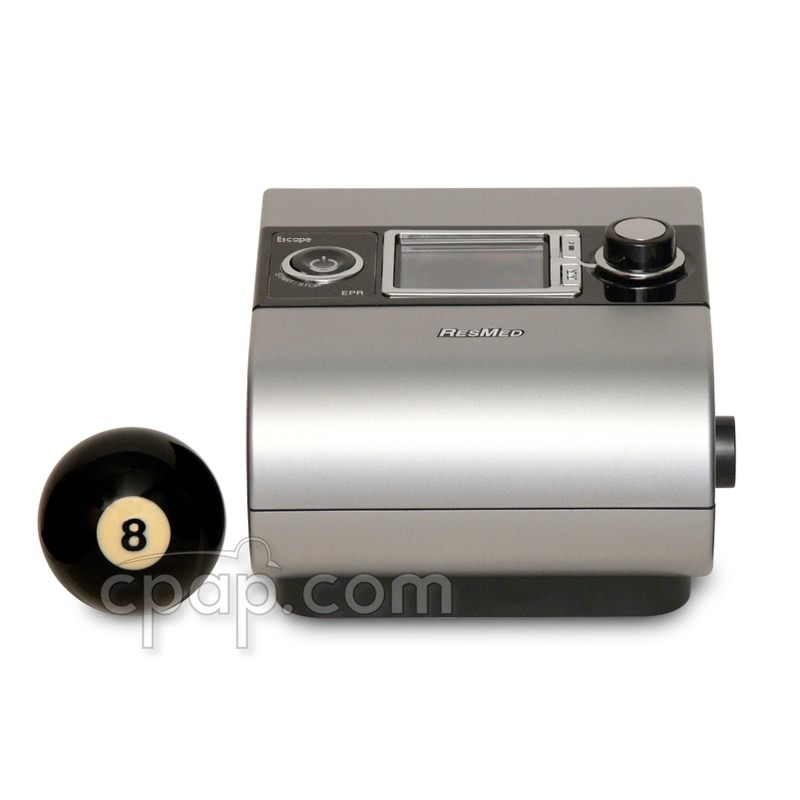 Easy-Breathe technology softens the breathing cycle by monitoring the user's breathing pattern. 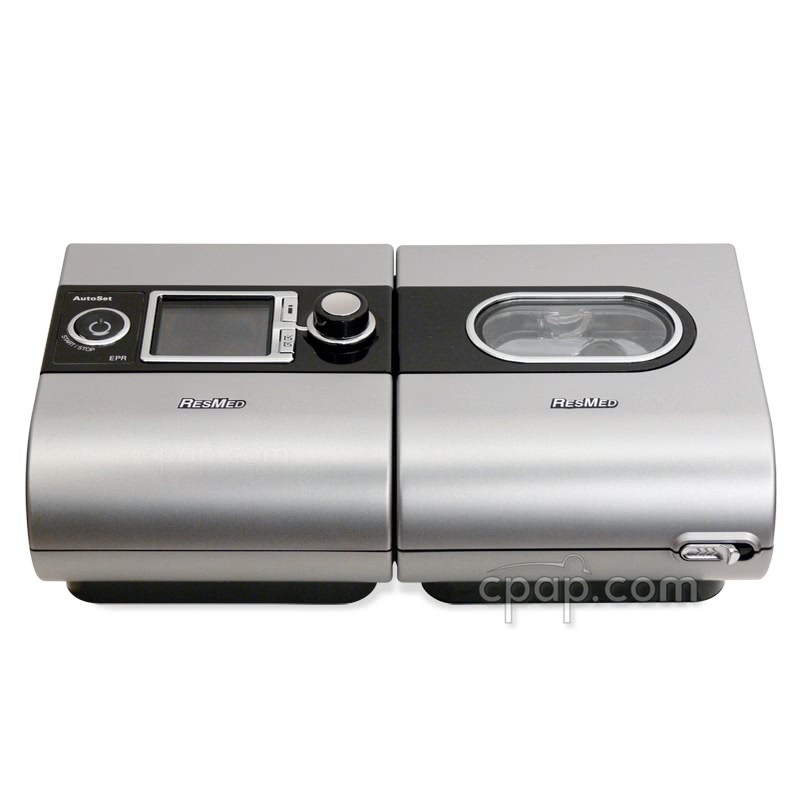 Along with EPR, the S9 Escape synchronizes the user's inspiratory and expiratory cycle. A smoother, more natural delivery of pressure keeps the motor whisper-quiet when operating. Easy-Breathe allows the S9 Series to operate at 26 dBA when set to 10cm of pressure from a distance of one meter. The overall reduction in motor operation helps keep conducted noise from traveling through the tubing and away from the mask. 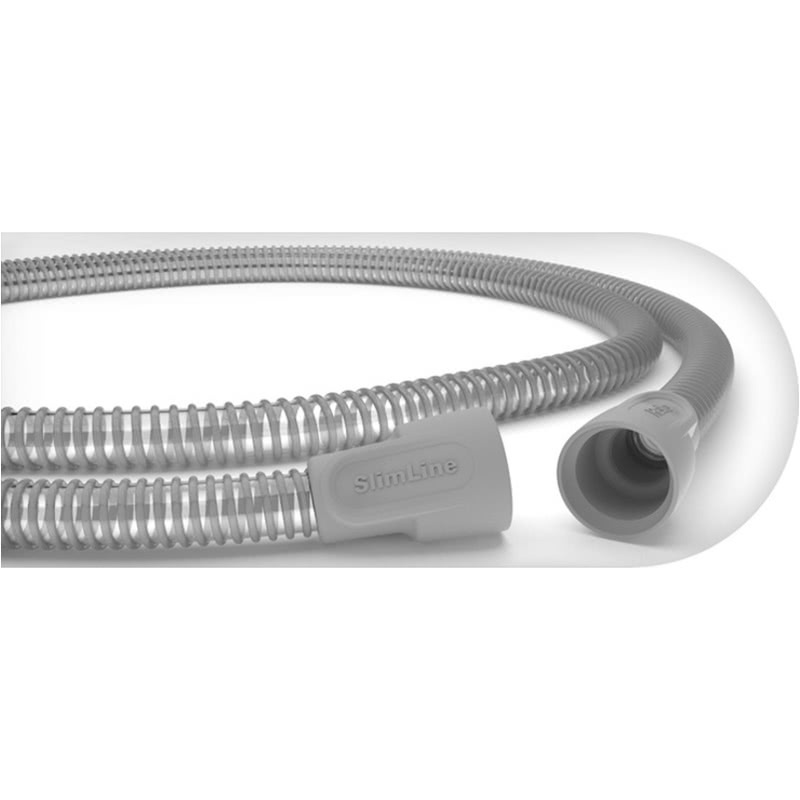 No more motor whining and noise generated inside the CPAP hose. For help understanding how EPR with Easy-Breathe works, click on EPR with Easy-Breathe Tech Fact Sheet. For help with setting up the S9 Series, click on the S9 Escape Welcome Guide. Tubing Options: ResMed's S9 Escape has a number of tubing options. The SlimLine 15mm tube is a non-heated tube in a thin, flexible style. The machine can also be used with an OPTIONAL heated ClimateLine Tubing which integrates with the machine and OPTIONAL H5i Heated Humidifier to provide increased humidification and reduced chances of rainout. The ClimateLine is available in two diameters. The SlimLine 15mm ClimateLine Tubing and a standard diameter 19mm ClimateLine Max Tubing. 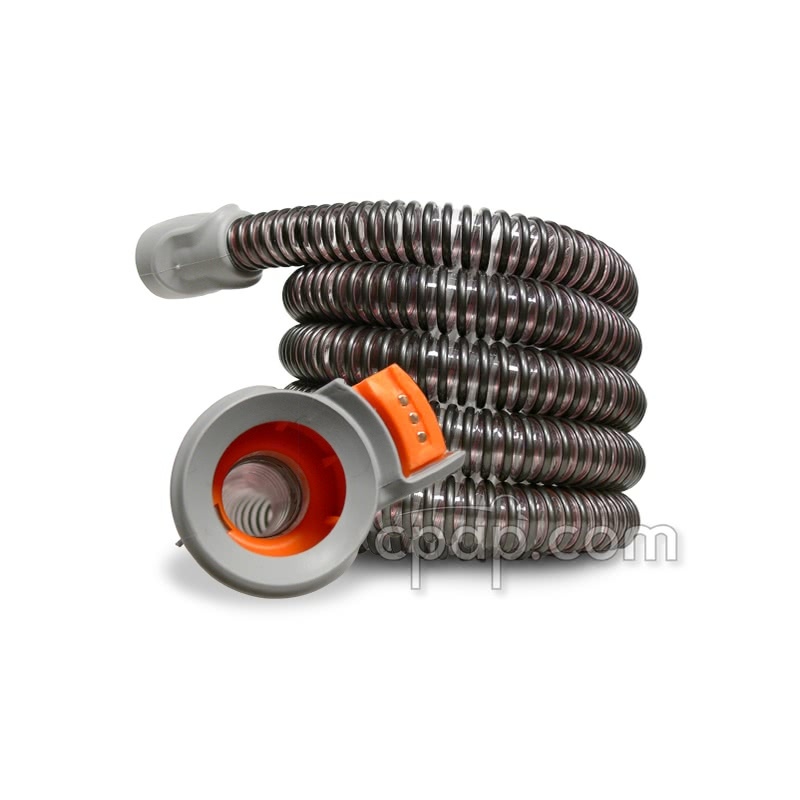 Additionally a standard diameter, non-heated tube may be used. 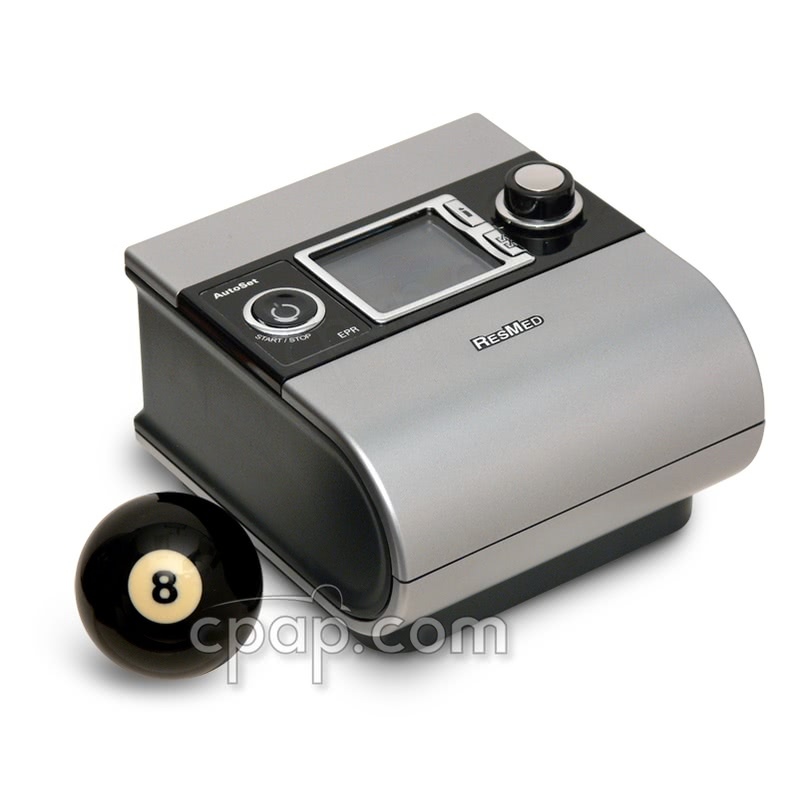 The following information is applicable for the ResMed S9 Escape alone or with a heated humidifier. Keep in mind that using a heated humidifier will reduce the run time of the battery by approximately one half. DC capable: Use the DC Converter 24V 90W For S9™ Machines to operate the S9 Escape from a DC power source (battery). 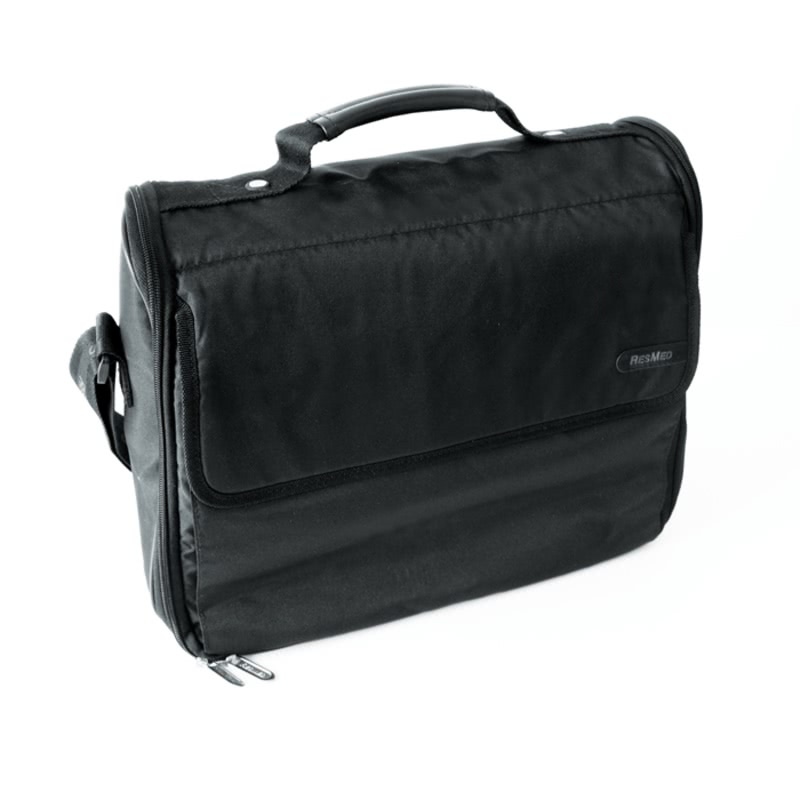 This external lead acid battery pack is the ultimate in power, portability and convenience. This battery pack is a great option to have on hand to power the S9 Escape™ CPAP Machine in the event of a power outage. This battery kit comes with the Respironics Battery Pack and the DC Converter 24V 90W For S9™ Machines.